I always start off any trip to Prague with a friend or family member by doing the basic walking tour of the city. Start in Wenceslas Square to take in where Czechs peacefully brought about the Velvet Revolution alongside the statue of St. Wenceslas and National Museum (sadly closed until 2018). Walk down Melantrichová until you arrive in Old Town Square. Stop to admire the Astronomical Clock, Tyn Church, and Jan Hus Statue, but watch your bag for pickpockets. Exit the square on Karlová and follow this street until you reach the Charles Bridge over the Vltava. To the left, enjoy Kampa Island’s plaza and park where you can see an up-close version of David Cerný’s barcode-faced babies that climb up the Žižkov TV Tower. The Kampa Museum displays modern art and stays open until 6pm. Another option is to head right off the bridge to find the Kafka Museum and another David Cerný sculpture, Streams. In addition, visit Prague’s most famous street art on the Lennon Wall that faces the French Embassy. Don’t forget to bring a marker or some paint! The best reward for a long day of exploring Prague is some hearty Czech cuisine. Known for its meat, potatoes, sauces, and knedliky or dumplings, Czech food will definitely fill you up. Try Lokal U Bílé Kuželky for a hip, fresh take on Czech cuisine and some well-deserved pivo or beer. Otherwise, duck into any Czech pub for some typical dishes like the “national dish” of pork, cabbage and dumplings or svícková, tenderloin with dumplings in a vegetable sauce. Continue your orientation of Prague by descending into one of the city’s many cave-like pubs. The Czech Republic is still a smoking-friendly country so take caution that most bars will be pretty hazy. Two of my favorites back in the Old and New Town neighborhoods are U Sudu on Vodicková or Popocafepetl on Michalská. If you’re feeling adventurous, try a B-52 shot of Bailey’s, Kahlua and absinth that can be lit on fire! Take the metro or a tram to the Jirího z Podebrad and don’t bother trying to say the name, you can abbreviate as JZP! Stop at Antonínovo Pekarství for a typical Czech pastry of kolácek. Then spend some time exploring the farmer’s market in the main square in front of the church. Heading away from the center, check out Žižkov, a new hip neighborhood with a lot of local shops to explore. Take the tram #22 from JZP to Narodní to have a stylish lunch at the famous Café Louvre. Open since 1902, you can enjoy both Czech and international cuisine, where both Kafka and Einstein used to frequent. Consider the daily menu, a typical order for Czechs that features a soup, along with various main courses. Finally, satisfy your sweet tooth with their amazing hot chocolate or one of their cakes. 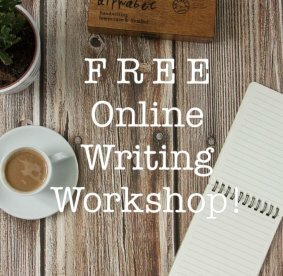 Sign up for Pink Pangea’s Free Online Writing Workshop. Continue on the #22 up to the Pražský Hrad stop, or Prague Castle. Be sure to take notice of the view on the right side as you ride up the hill. Prague Castle is not a traditional castle, but rather a complex of buildings. To walk around the grounds is free, but a ticket to see the inside of St. Vitus Cathedral in the middle is worth it! Once you’ve wandered the castle grounds, exit at the main gate to take in a beautiful view of the city to your left. Up the hill, enjoy a cozy Vietnamese dinner at Malý Buddha, a favorite of the country’s most famous president, Vaclav Havel. With nightfall as you exit, stop to view the breathtaking spectacle of Prague and all its lights. Check out the theater line-up at Prague’s National Theater or spend the night dancing away amidst Prague’s awesome nightlife. Explore the several floors of Chapeau Rouge, past Prague’s Old Town Square for a grungier scene or instead pay the cover in New Town at Lucerna for their weekly 80’s and 90’s night. End the night with a stop in Wenceslas Square for a Czech staple, the fried cheese sandwich, or a smažený sýr. If you’re up super late, watch the sunrise on the Charles Bridge for one of the most breathtaking experiences. Take some time for pohoda–the Czech concept of contentment and relaxation–with a morning coffee at Mama Coffee on Vodicková. Enjoy the natural light of the upstairs room with a book, a yummy latte and some homemade pastries and quiches. With your last afternoon in Prague, decide whether to return back into the city center for some more somber history at the Jewish Museum’s multiple synagogues or enjoy the peace of Vyšehrad, Prague’s original castle fortress and current park. Either way, Prague will continue to show off its beauty and depth with every new place to discover. No trip to the Czech Republic is complete for me without a bite of my favorite cake. Found around the city at many cafés and bakeries, medovník, or a honey walnut cake, is a unique treat to this region. My favorite spot is at Ovocný Svetozor near Wenceslas Square. Prague has always had a unique mystique that has compelled some of the world’s most famous artists, writers, scientists and thinkers. Whether visiting for 48 hours, months or years, come enjoy the magic and beauty of one of Europe’s best secrets. While the author has some good suggestions for a weekend in Prague, the city is hardly one of Europe’s best kept secrets. The Golden City is one of the most popular travel destinations in Europe, and has been for many years. Prague Airport is now a state-of-the-art airport, the largest airport among new EU members, and handles 11-12 million travellers a year!!! Trip Advisors lists Prague at number 5. US News rated Prague number 12 in the whole world! When I arrived in 1995, there was only one old and tired-looking baggage terminal in an equally old Communist-style airport architecture. Prague has truly blossomed into an international city. Hi Susan, thanks for reading! I definitely agree; Prague has changed a lot and become more tourist-friendly even since I first studied there in 2012. One of the things I love most though about Prague is how there are always more secrets to be uncovered. Each time I go back I discover a new underground bar, stumble upon a new festival or friends take me to quaint cafés tucked in hidden alleys. While I focused on the highlights for a 48 hour trip, what makes Prague so compelling to me is what I have found beyond the main tourist attractions, often when I least expected it.